Town & Country Australia`s Attic Garages provide a unique concept in utilizing space. 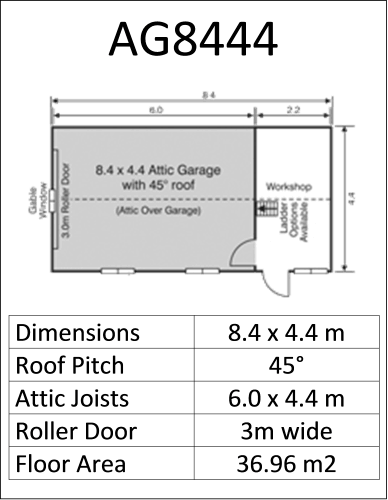 The Attic is ideal for extra storage, sleepovers etc. 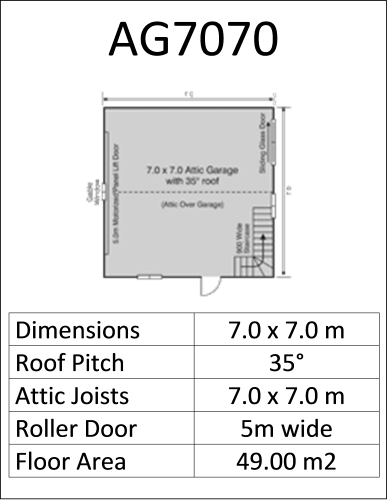 Maximise the Roof Space above the Garage. 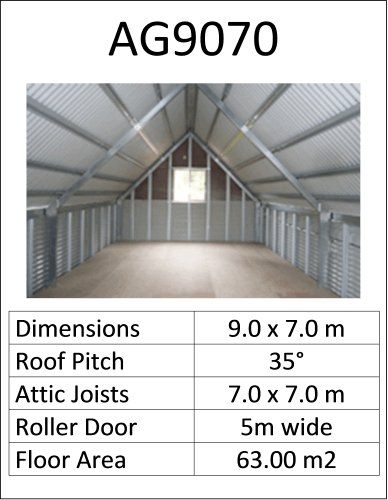 With a huge range of colours available, and a variety of sizes, you can choose from one of our designs or create a space to suit your needs. 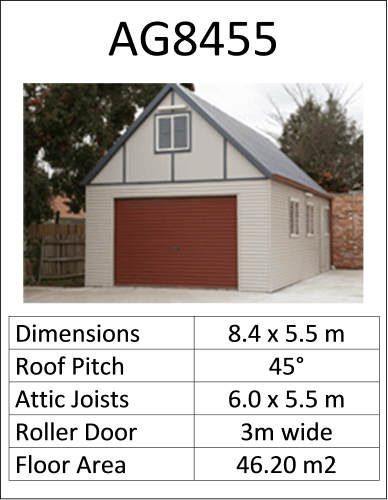 Precision built with Horizontal Colorbond Walls & Weathertex Gables make our units an attractive addition to any property. 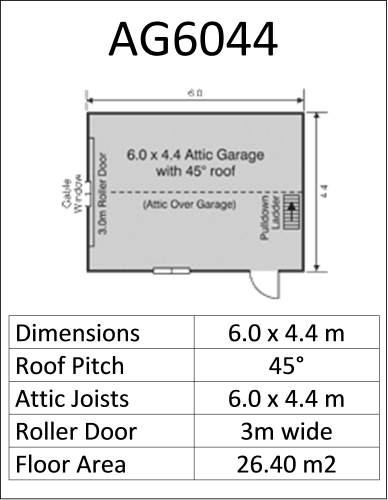 The Attic Garages can be customised a certain amount to reflect your requirements. 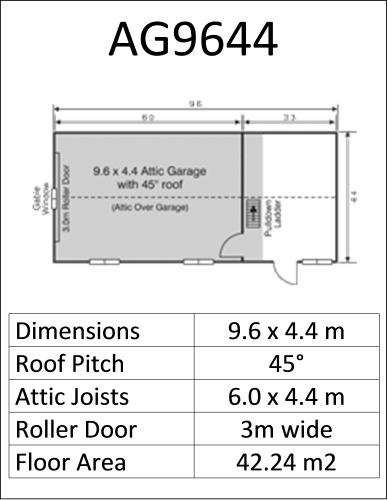 Work, sleep or play, it is the answer for that extra space you need – above the garage.